design of mechanical ventilation with a heat recovery system. The premium for Passive House construction depends on building type and can range from 4% to 15%. The payback period this initial investment derives from energy savings, building durability and low maintenance costs. Government grants and utility incentive programs can also help recoup costs. 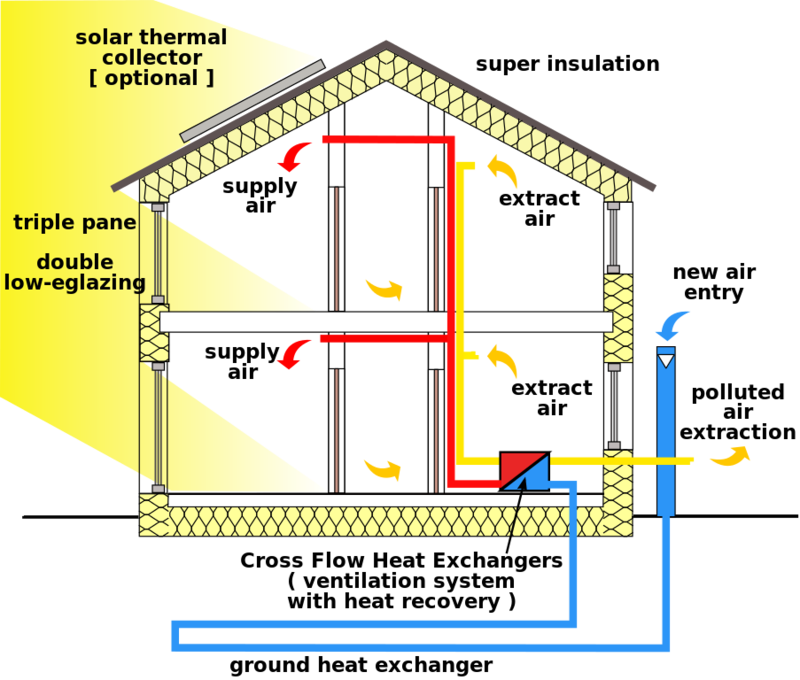 Passive house construction contains a number of qualitative paybacks such as increased thermal comfort, high acoustical performance and superior air quality. By decreasing the demand for offsite energy, there is also a significant reduction in the building’s greenhouse gas output. That combined with a healthier building environment and a more durable building, Passive House design strategy exemplifies a sustainable built future and takes a progressive stride in an uncertain energy outlook. Passive House certification is a two-step process. The first step occurs during design. The energy performance of the building is assessed through energy modeling software from information such as site-specific climatic data, assumed occupant behavior, appropriate envelope assemblies and building form. The second step happens during the construction. Third party verification, such as Passive House Institute of US (PHIUS), ensures the built form and building systems align with the pre-approved design. Certification is not a necessary requirement to reduce a building’s energy consumption to Passive House standards, although it is a relatively small investment to certify that energy use expectations are achieved and increases opportunities for government and or utility incentive programs. The Passive House approach to building construction exemplifies a common theme of First Nations vision statements – a focus on community, health and the environment. From a community perspective, there are multifaceted economic advantages in this construction methodology. The robust building envelope and simplified mechanical system provides a durable and low maintenance building. The reduced energy consumption is an obvious benefit; significantly enhanced when fossil fuels need to be imported into remote communities. From a health perspective the innate superior air quality and thermal comfort characteristics of a Passive House building have a huge benefit for the multi-generational occupant use of the spaces. Passive House construction methodology limits the carbon emissions through significantly reduced energy consumption and building longevity. Founded in 1980, Iredale Architecture is a full-service architecture firm with offices in Vancouver, Victoria and Calgary. The firm’s areas of expertise include not only architecture, but also structural engineering, building envelope science, interior design, master planning, heritage rehabilitation, adaptive reuse, and LEED and Passive House certification. Iredale Architecture has been incorporating sustainable design strategies in projects since the early eighties. The firm provides cost-effective measures in green design solutions that translate into significant long-term cost savings for Clients. 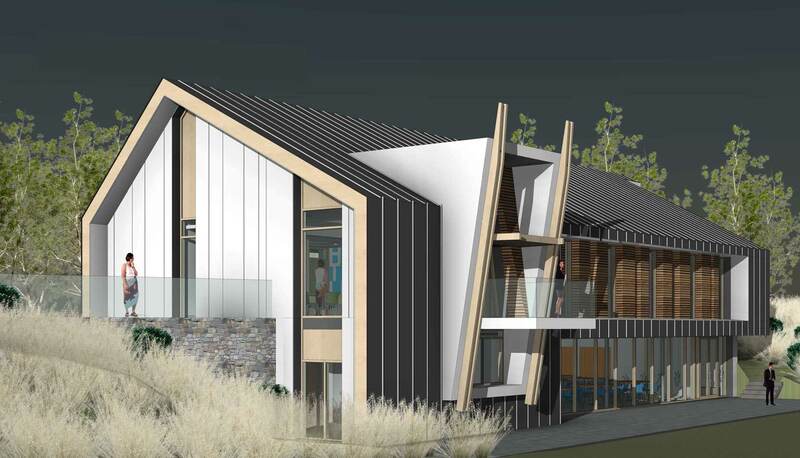 Iredale Architecture is currently working on two Passive House projects for First Nations in Northern BC – the Doig River Community Church and the West Moberly Health Centre. These projects will establish new precedents in their respective typologies. Doig River Community Church will be the northern-most PHIUS certified building in North America, and the first PHIUS certified building for a First Nations community. West Moberly Health Centre will become the first PHIUS certified health centre in North America. The outcomes for both projects will be a ninety percent reduction in energy consumption over the base building standard, with healthier environments for users. The team responsible for these projects – Peter Hildebrand, Partner and Stefan Walsh, Project Manager – was involved in the development of a new Passive House window design in 2016. Trained in Passive House, Walsh contributed to the organization of the CanPHI symposium at UBC in 2014. Walsh is a member of Canada Passive House, the International Passive House Association and CanPHI West.